Ladies Night Out Cookie Decorating Class. 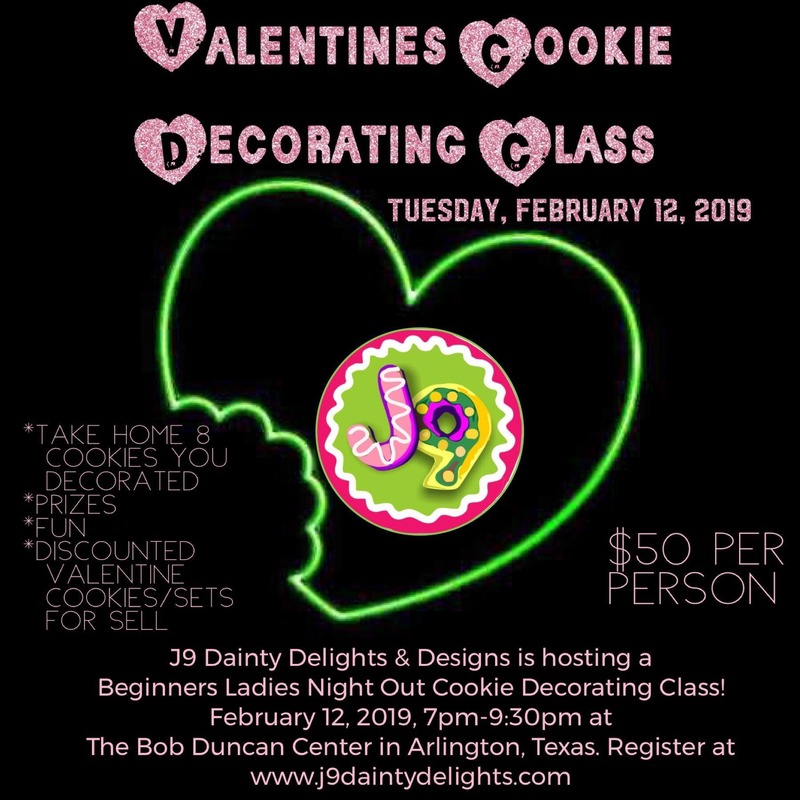 Join J9 Dainty Delights as we decorate cookies for your Valentines! We will be decorating hearts, lips, Xs Os, diamonds, and flower cookies with royal icing and lots of fun sprinkles! Photos to come with the sample designs. All supplies included in price. The cookies and icing will be ready when you arrive. Invite a friend, or meet a new one. $50 per person. Registration is required. Last minute Valentines cookies and sets will be for sell at a discount for attendees only. While supplies last.